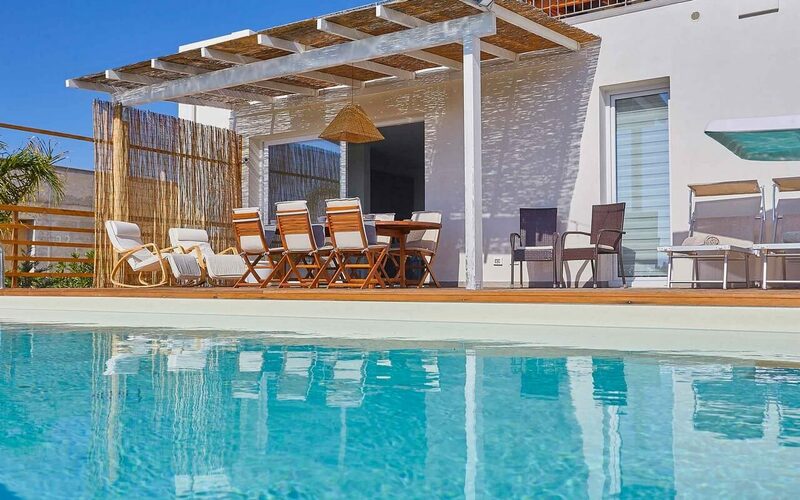 A lovely family villa for those of you that love a beach holiday. 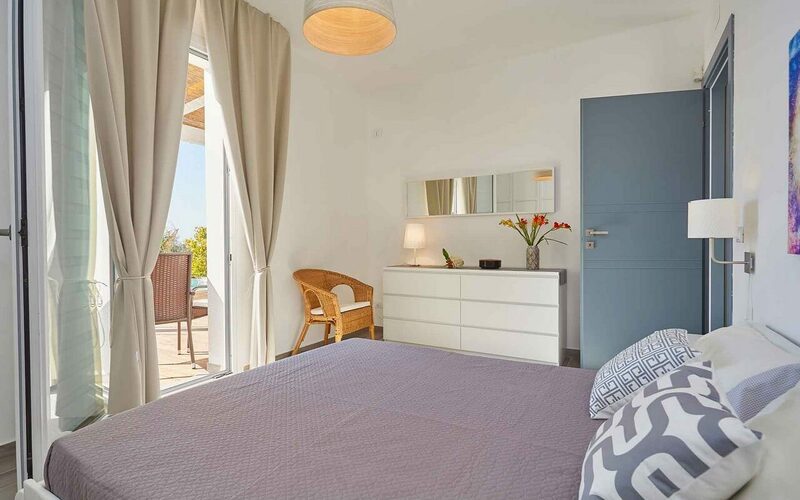 It is located right in front of the sea, the sandy beach is just 300 meters from the villa. 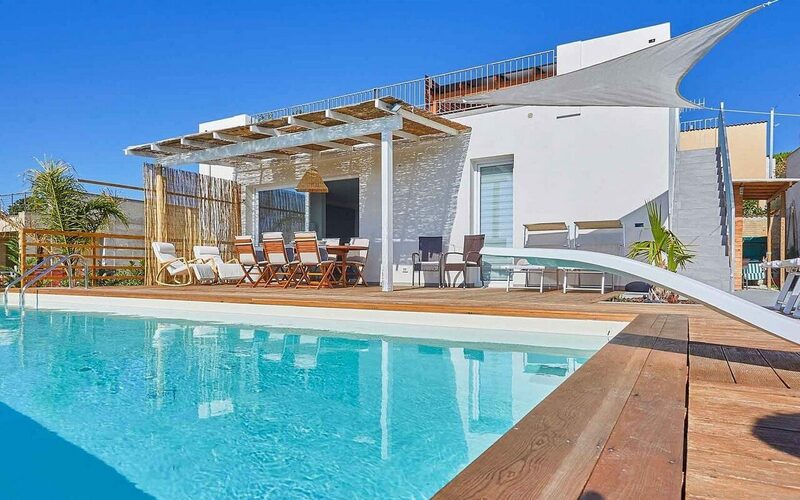 Casa Palmi is modern and its exterior design is simple and elegant which sits in harmony with the coastal landscape. 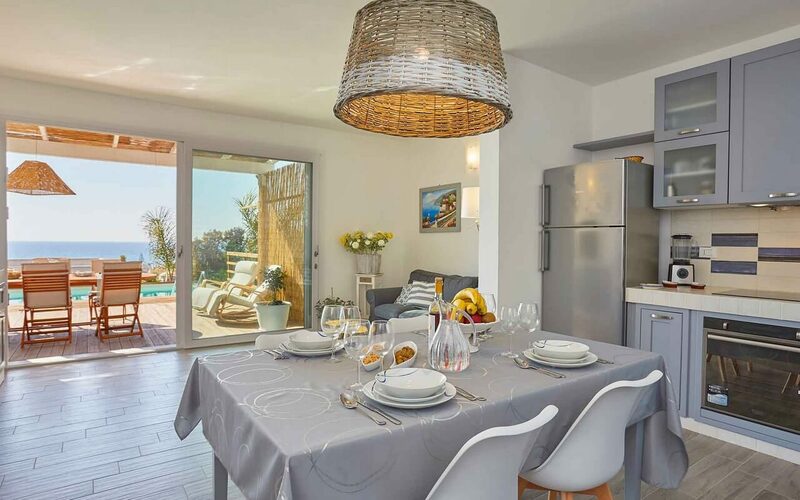 The main features of this home, are the two terraces and BBQ furnished for al fresco living, they provide you with an uninterrupted view of the beautiful aqua sea. 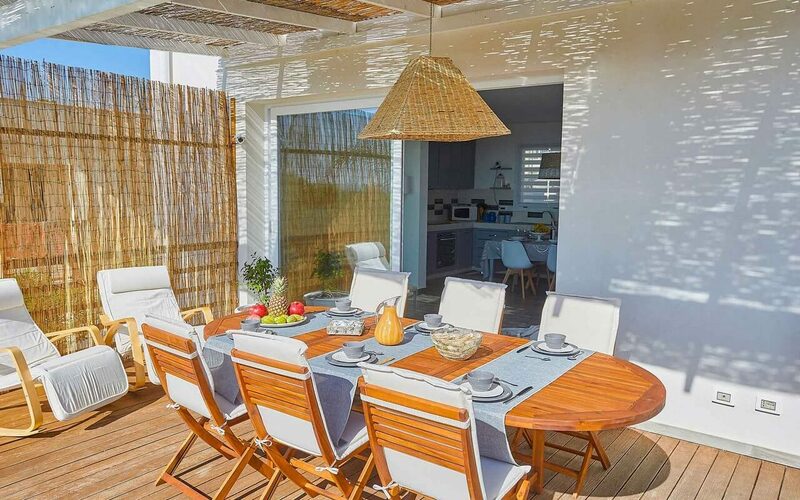 Inside, the furniture is simple but comfortable, a spacious kitchen with dining/living room has doors opening out onto a large terrace with pool and sea view, which is perfect for dining even in the afternoon heat. 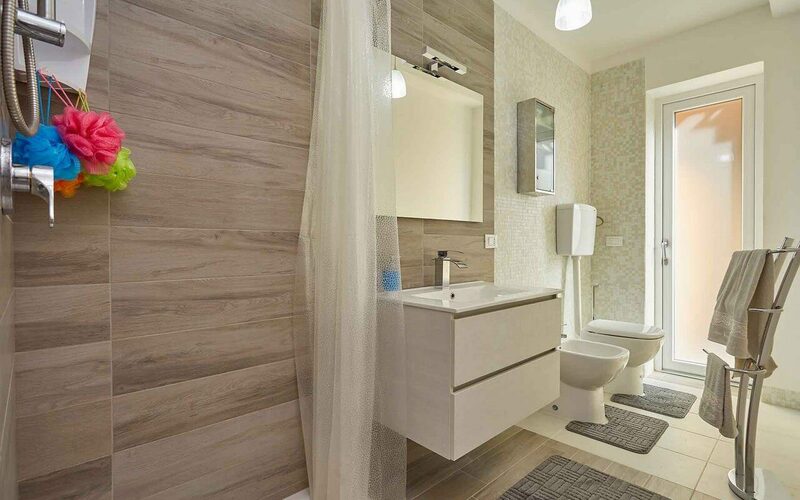 You will find two double bedrooms, one twin bedroom and two bathrooms with shower to complete the interior of the house. 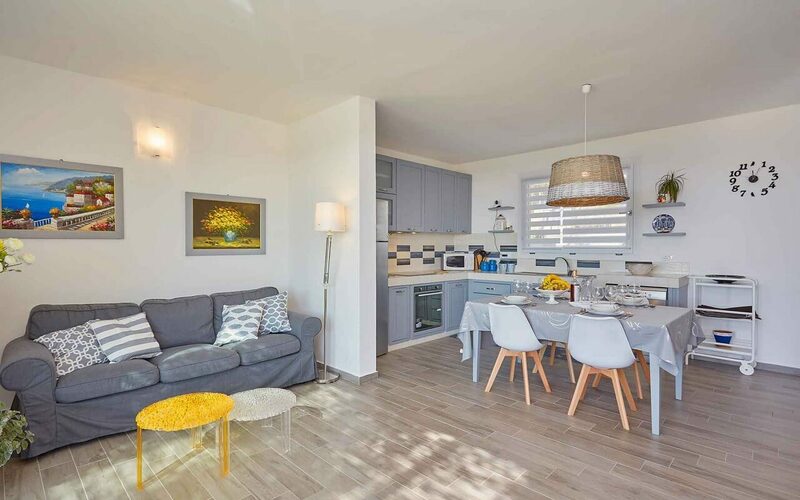 An excellent choice for two small families or a group of friends looking for a seaside holiday. 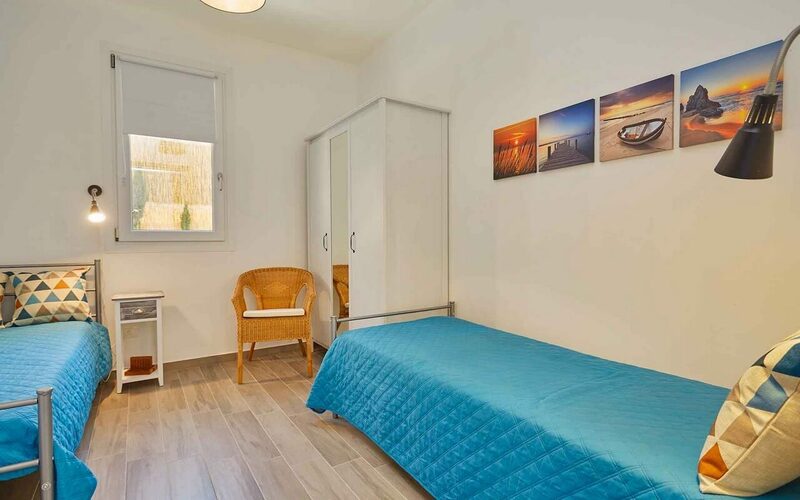 The house is located in the centre of the village Triscina di Selinunte, it is an extensive cluster of summer homes along the coast, there are a few local shops and a lido on the beach; Marinella di Selinunte with its restaurants and bars is only10 km away. The entrance to the largest archaeological park of Europe, at Selinunte is just 600 meters away. 5 Pers. – ca. 80 sq.m. 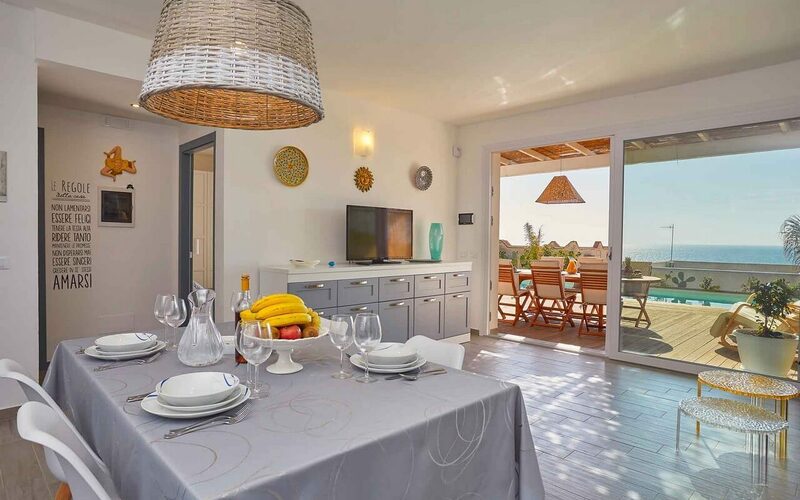 Dining/sitting room with large kitchenette, 1 double bedroom, 1 twin bedroom, 2 shower/wc, large terrace with pool, outside shower. Extra maid service on request € 12 per hour. We had a fantastic time at casa di palmi. 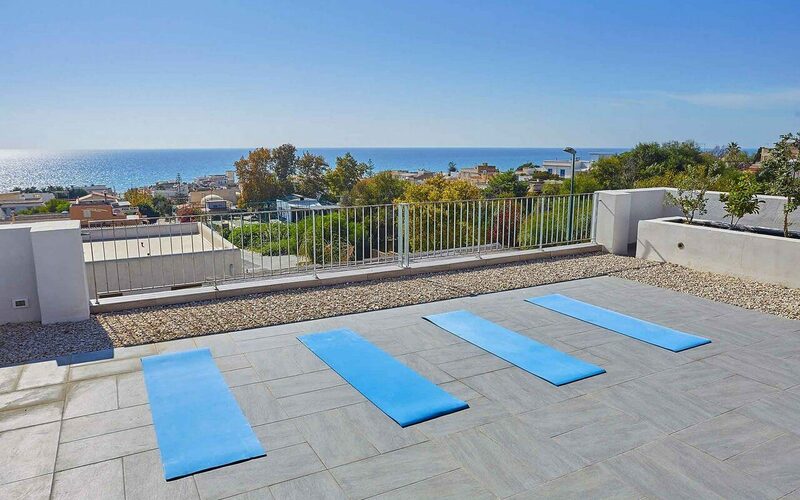 We enjoyed the stunning sea view from the roof top terrace during our morning yoga sessions. The pool is just amazing. The house itself is well located. Bakery, butcher, little supermarket, bar, fruits and pizza are around the corner. You also can buy homemade fresh pasta around the corner. Must try couscous con pesce. 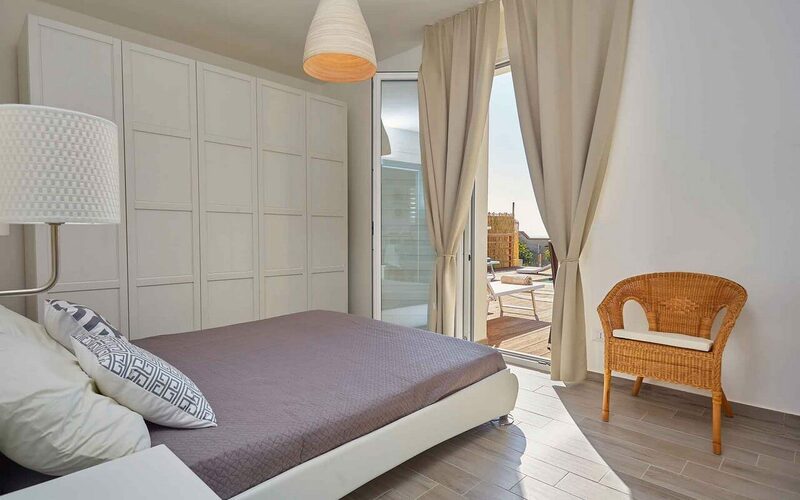 Casa di palmi is modern and very well equipped. – nothing is missing. Not to forget the amazing pizza oven and the outdoor kitchen. 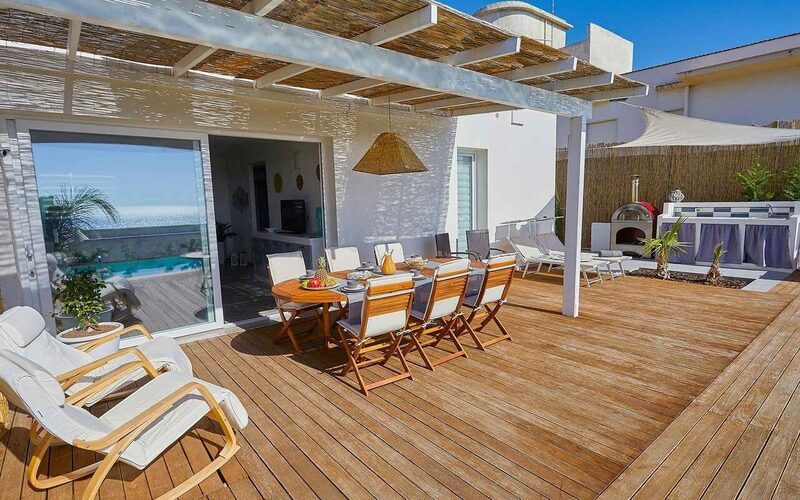 The owner has thought of everything to make your holiday as relaxed as possible. The welcome package with oil, pasta and wine let you arrive directly. We had a great holiday with our two children and the house was the perfect location to explore Sicily. 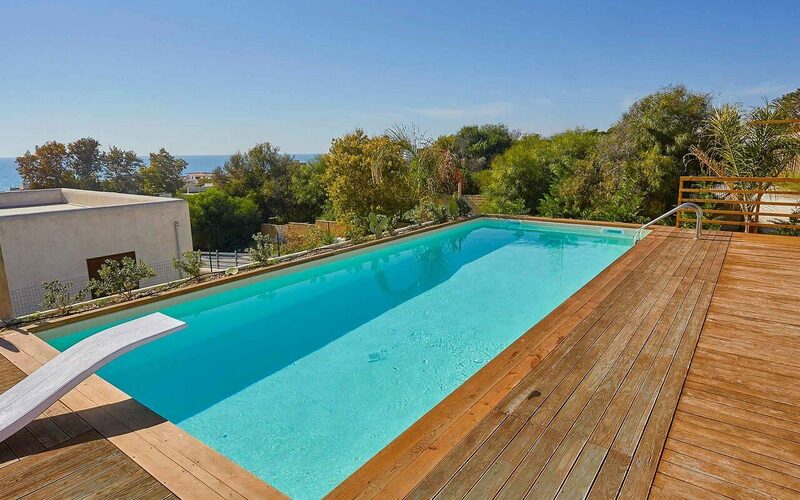 The house with this pool is really amazing. 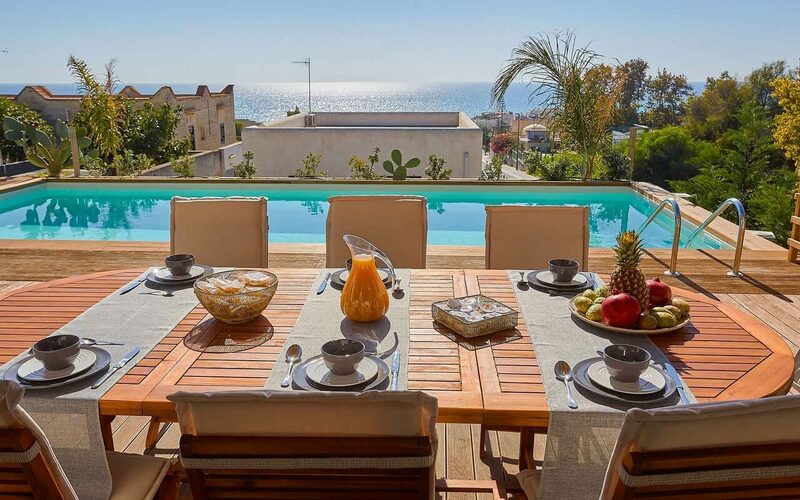 The view over the sea and the stile of the house is the beat flr relaxed holidays. We found everything we needed and the owner is a very nice person. Thanks for wonderful days in sicily. 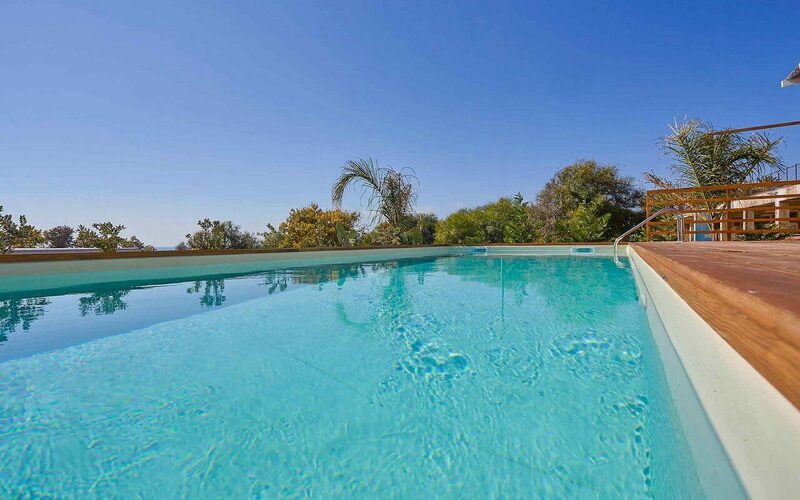 Review for the house casa palmi in Triscina: We booked the house for 2 weeks in the end of june. The communication and the booking process with Aldo was perfect. At the arrivle Mr. and Mrs. Palmieri explained us her beautiful house and give us an great welcome paket with many things and even selvemade olive oil and liqueur. We have booked many other houses but this one was the best house which we have ever booked. It is so great ?. Very well equipt and modern. The pizza oven with olive wood is fantastic. The terrace with the pool and the rooftop with the seaview is perfect for relaxing. Theres a butcher and a baker only a few meters away. You musst try the arancini with different filling at the butchery. The beach at the ende of the street is not so big but not crowded. In the middel of Triscina and Tre Fontane are also great beaches only 5 min away. Selinunte is only 20 min away. It has many greek tempel and a nice port. Many thanks the family Palmieri and Aldo for the great holiday. We enjoyed our two-week-stay at the beautiful villa in Triscina. The owner, Mr Palmieri, and the agent were very nice and helpful. The apartment is modern, very clean and comfortable, the pool area is amazing. You have an amazing view towards the sea. The owner offered us to come by and clean the pool whenever needed. The wirless wlan is very fast and good. 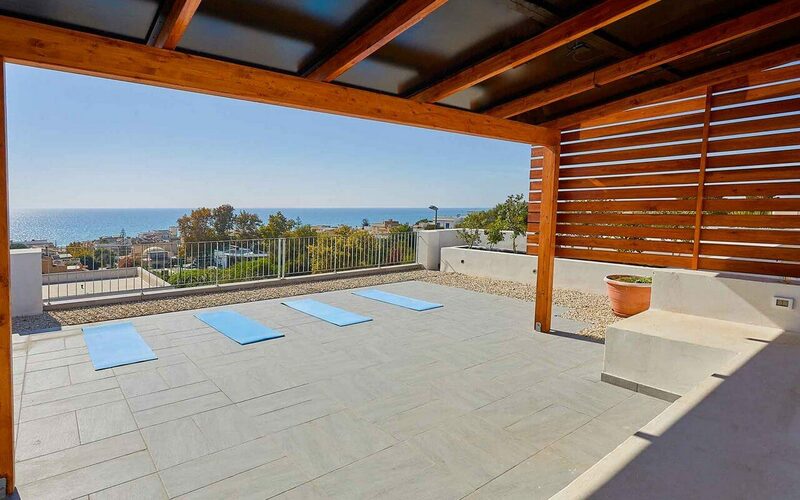 If you are looking for a place to relax and enjoy the seaside, this is the perfect house to do so. 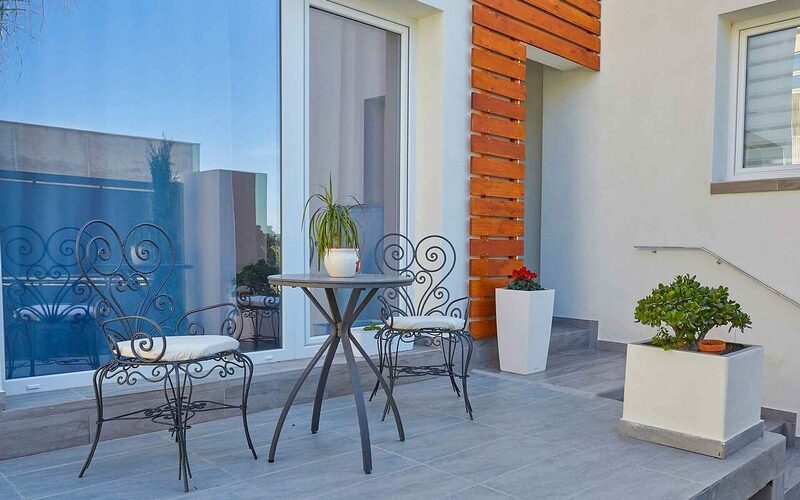 Close by you have the city Castellvetrano with many big supermarkets. The most essential things (water, bread, fruits, pasta…) you can buy next door. Also Selinunte is just a 15 minutes drive away. The village offers a beautiful beach in the middle of a nature reserve and also historic, greek temples. We thank Mr Palmieri and Aldo for their kindness and hospitality.